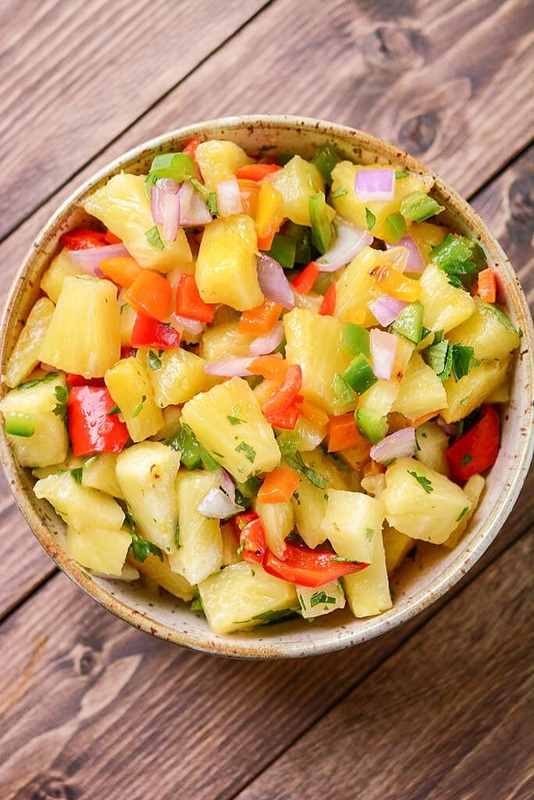 Grilled pineapple salsa is a sweet, juicy and just a bit spicy treat that is perfect on chips, on chicken or pork tacos, or served by itself! The number one word that comes to mind when I think about this salsa? Fresh!! It’s obviously the perfect summer treat, but also serves as a great pick-me-up any other time of year with it’s juicy fresh sweetness. I’m a salsa-aholic and have tried just about every combo you could imagine. 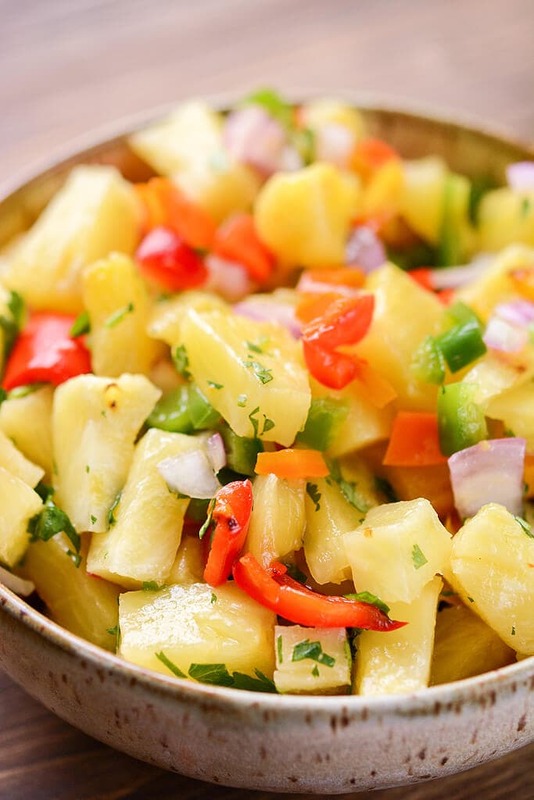 Fruit salsa has become amazingly popular and for good reason! So many options and so many flavor combos means salsa on almost any food you could imagine. I consider this a good thing! And did you know it’s easier to make than you could have imagined? 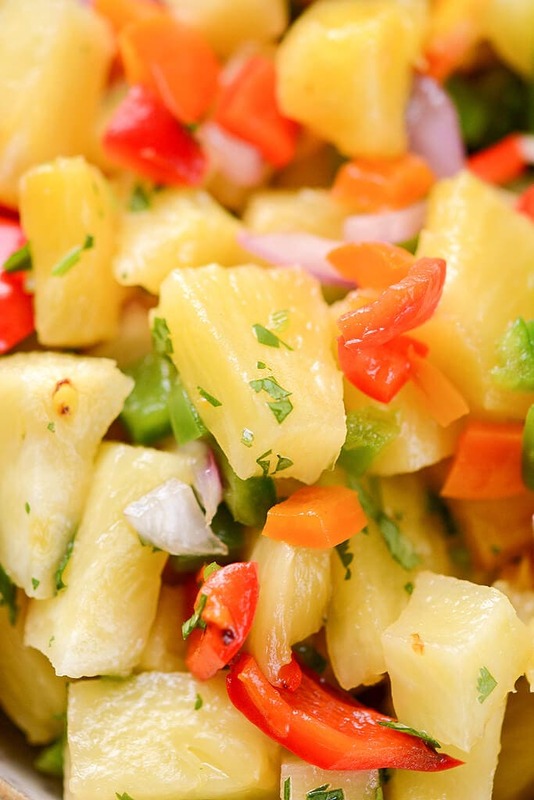 For this salsa, we lightly brush our fruit and peppers with some olive oil and grill. Then let cool, chop add some lime juice, olive oil and cilantro, and done! Mind if I share a quick little cheat here? 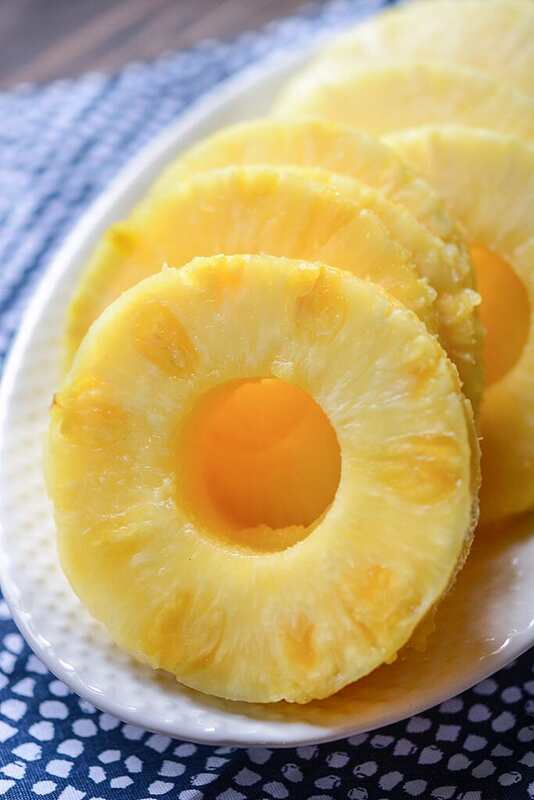 While you can absolutely use a totally fresh, peel and cut yourself pineapple, often grocery stores have already cored pineapple! 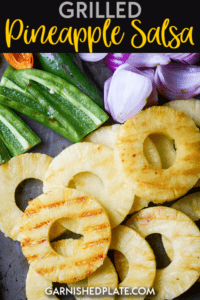 It’s a time saver and sometimes cutting pineapple can be a pain and this saves all that trouble! If you want to buy your own and cut it, a pineapple corer is helpful! Remove those ribs and seeds from the jalapeños to keep things from getting crazy spicy and you are ready to go! 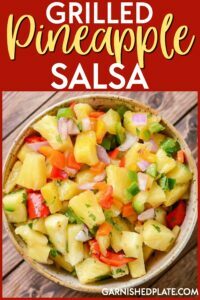 If you love this pineapple salsa, you should check out a few of my other recipes that I pair with fruit salsa. 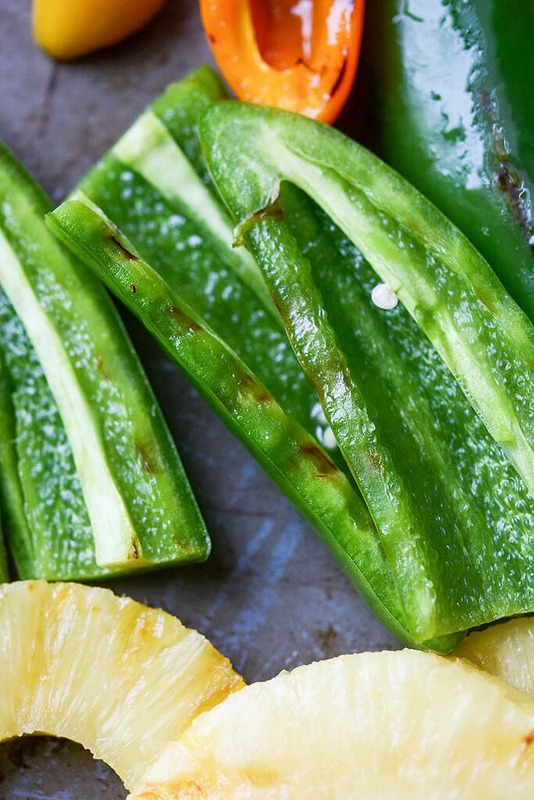 They are perfect for summer and a delicious and healthy meal the whole family will love! My mouth is actually watering just from looking at these photos. 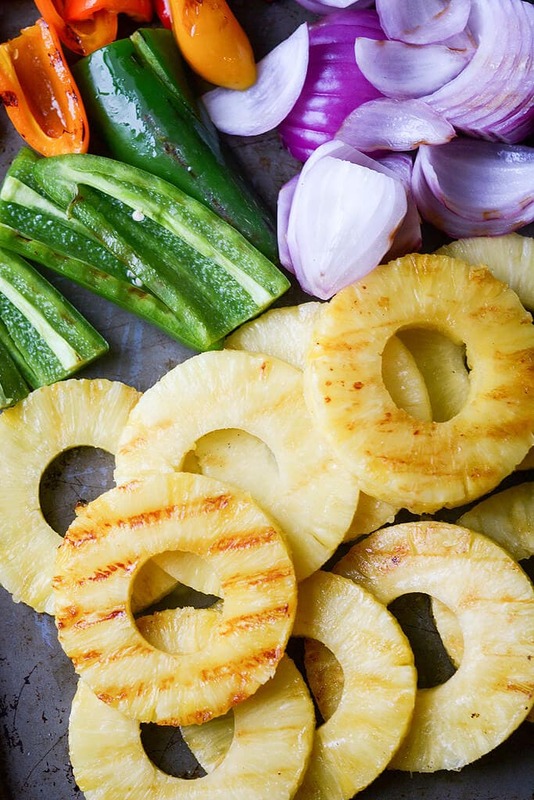 The juicy pineapple and crisp, crunchy peppers look SO good. Cannot wait to try this!